Get fresh in a flash! 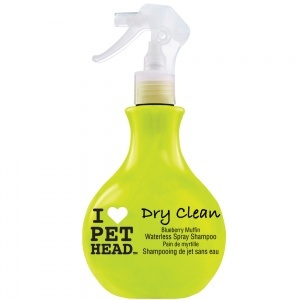 This spray-on non-rinsing shampoo cleans your dog's coat without water. Scented like Blueberry Muffins! Pet Head Dry Clean is perfect for holidays pets who hate bath time or just a quick fresh-up between baths.